John Barrowman has been in the States for much of this year and is returning to the UK over Christmas to appear in pantomime with The Krankies. He is next on our TV screens in November hosting a new daily quiz on BBC1 called Pressure Pad. Contestants are asked to answer general knowledge questions while standing in an illuminated arena (the pressure pad). Two teams of five players will play against each other in head-to-head heats before the winners of the previous round compete in a team final. 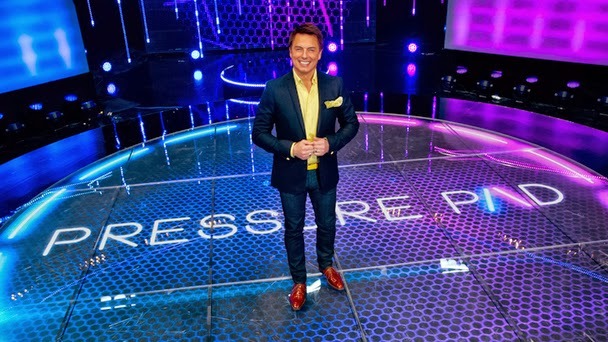 Barrowman said "I am thrilled to be hosting this new innovative quiz show for BBC One and look forward to seeing whether contestants can take the heat on the Pressure Pad, and join in having fun with me."